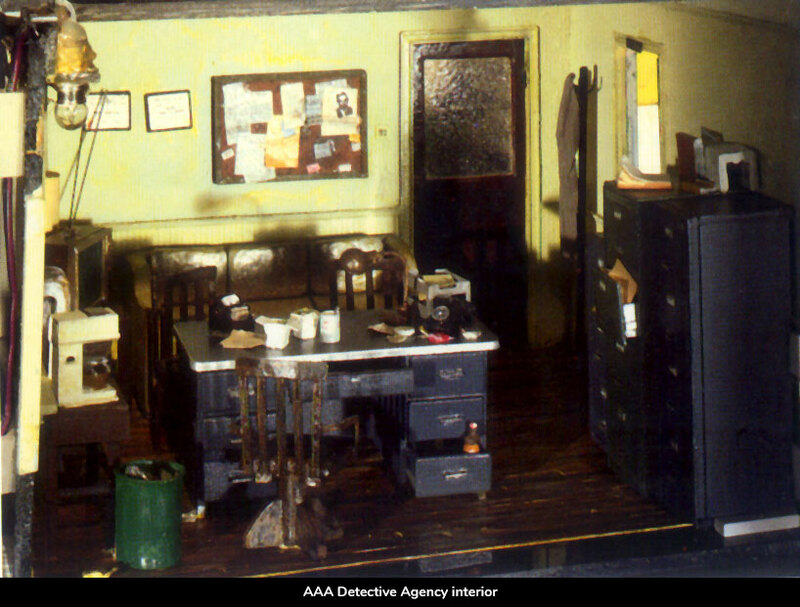 AAA DETECTIVE AGENCY is my homage to film noir movies, and the Sam Spade type of Private Eye. 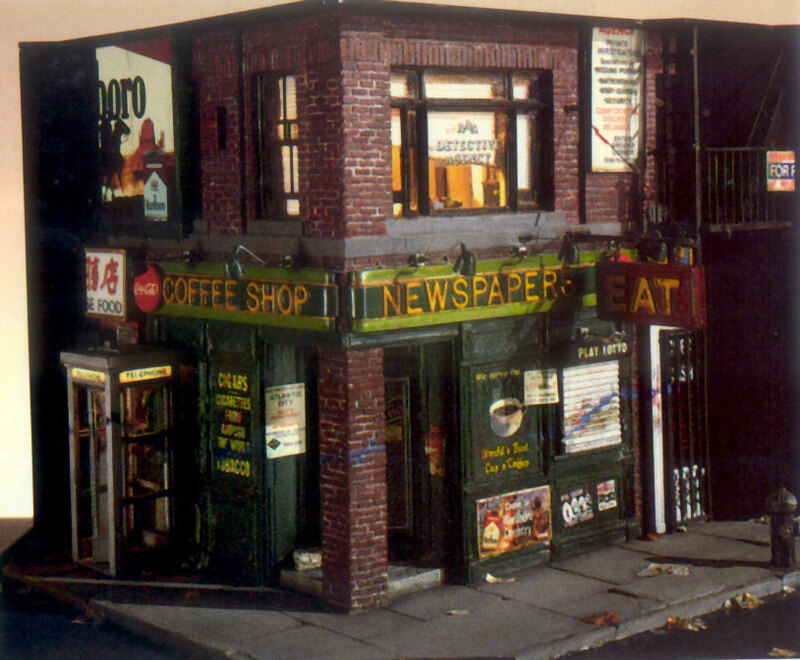 Although the exterior of the piece is more contemporary than the 1940s film genre (note the modern Marlboro sign, and the bus excursions to Atlantic City casinos), the view into the second floor office tells a different story. The partially opened desk drawers reveal the obligatory bottle of bourbon, as well as the essential .45 semi-automatic. The ex-cop probably spends a lot of time sitting at that desk, eating take-out, waiting for the phone to ring. Hopefully, having the first listing in the yellow pages under "Private Investigators" will pay off. The partially opened bathroom door gives us some hint as to his present whereabouts.